Enroll in Transaction Alerts for Your New First Command Bank Debit Card with smsGuardian. We focus on providing exceptional value, backed by attentive, personalized service. Providing you with comprehensive financial solutions. Through a full range of products and services, we can help you increase your savings and reduce your debt. 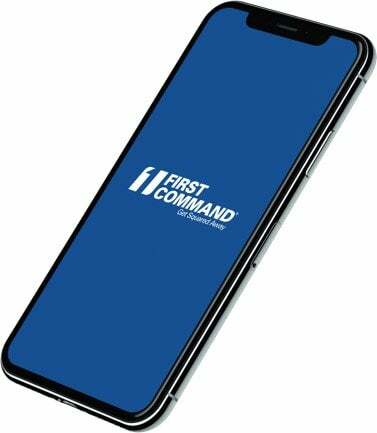 Keep your budget on track with First Command’s free checking and savings accounts. Need a CD, car loan, or mortgage for your home? We can help with that, too. If you have multiple monthly payments or loans with high interest rates, consider consolidating them into one loan. We’ll be happy to discuss your options with you. Build your credit history and gain the purchasing power to meet your needs. Minus the promotional gimmicks. Our Wealth Management & Trust Services Group can help you manage your trust, so that you can protect your financial legacy and your family’s financial future. Looking for Professional Lending solutions? We have products and services to suit your business needs. Accessible ATMS in the United States.